The Danish Pastry House – Decadent, Total Indulgence, and Awesome! The Danish Pastry House is a real hidden gem. And I mean literally. The little shop is located in a quiet hidden plaza just off of Lakeshore and Cawthra. It is a bit hard to find (we were able to locate the shop because of the signs posted throughout the neighbourhood). 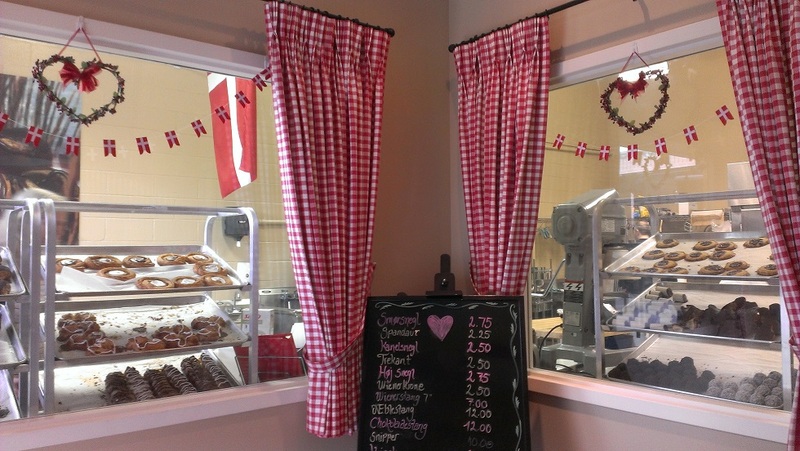 When we walked into the bakery they had a wide offering of their specialties showcased behind the windows – danishes, cookies, custard pastries…. What attracted me to The Danish Pastry House were the images of their chocolate danishes, which they call ‘snails’. The lady behind the counter is also the talented pastry chef and owner, advised us the pastries are meant to be eaten on the same day. She baked them at about 8am that morning, and they start drying up as the day progresses. Best to finish eating them up by 8pm the same night. Good thing she instructed us on this bit of information because I was ready to buy about a dozen assorted pastries. We limited our selection to about 7 pieces. All the pastries were of excellent quality. Hoj Sneg (High Snail) – Deep thick chocolate danish with very flaky pastry brushed with cinnamon and filled with custard. Nice and soft and moist inside. It is deceiving because this pastry is pretty heavy and would go perfectly with a cappuccino. Wienertrekant (Pastry Triangle) – Flaky fruit or custard filled danish. The fruit filled is pretty rich and sweet. A nice coffee would be a perfect accompaniment. Poppy Seed Roll – Flaky pastry filled with almond paste, sprinkled with a lot of poppyseed. Light and not as sweet as the above. Wienerstang (Pastry Stick) – Flaky stick filled with custard and almond paste, garnished with almond slivers, drizzled with chocolate and white icing.. (Have not tried it yet). I know we will not finish our pastries today. I’ll wrap the box in plastic tonight, and tomorrow when I am ready to eat a pastry, I will microwave it for a few seconds. 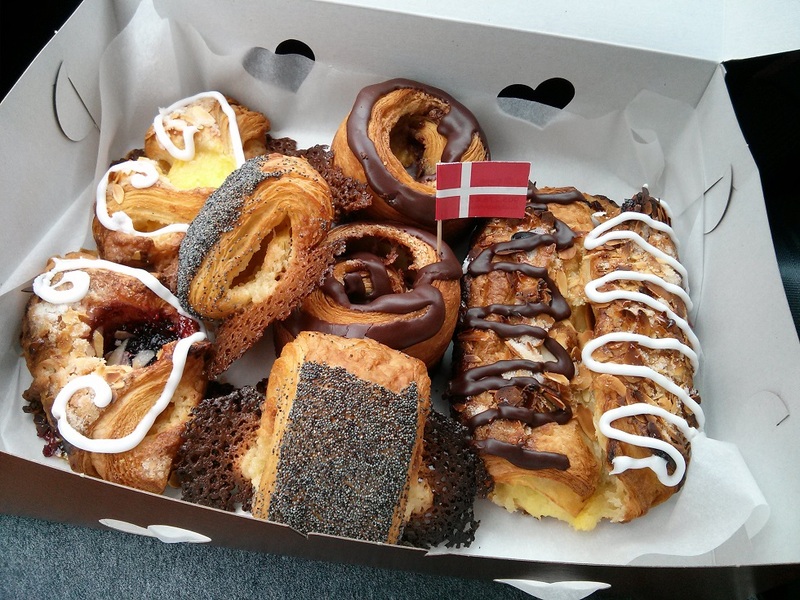 The Danish Pastry House is pretty new to the area being in existence for about a year. This shop is mainly catering for wholesale and they have limited daily hours open for the retail public. We made it over there today (Sunday) at around 1:00pm. The lady informed us that they will be opening a retail bakery location in east Oakville pretty soon.